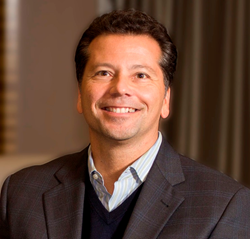 CancerCare, the leading national nonprofit organization providing free, professional support services and financial assistance to anyone affected by cancer, is pleased to announce the appointment of Michael Parisi as President of its Board of Trustees. Mr. Parisi is currently Managing Partner of Ogilvy CommonHealth Worldwide, the health care division of Ogilvy and Mather. For more than two decades, he has been at the forefront of the global health care marketing arena with an intense focus on oncology. While in graduate school, Mr. Parisi followed his passion for helping people affected by cancer and other illnesses and became a trained hospice counselor and end-of-life coach. He remains actively involved with the cancer community and has been a dedicated supporter of CancerCare for the past 15 years. In his new role, Mr. Parisi succeeds Susan S. Smirnoff, who was appointed Board President in 2010. Ms. Smirnoff has been a member of CancerCare’s Board of Trustees since 2004. Mr. Parisi is joined by 30 fellow Board Members who provide fiscal and strategic oversight of the national nonprofit. Their leadership plays a pivotal role in allowing the organization to directly serve more than 170,000 people affected by cancer across the nation each year.